Five months ago, I began the journey of AURELIA. It seems like I’ve lived a lifetime since then. From hiring a creative team for the first time, to recruiting actors (many of whom quickly became friends), to traveling to Los Angeles and being featured on a Huffington Post blog to experiencing the ups and downs of a story that went exactly where I thought it would (and nowhere near it at all!) . . . it’s been a whirlwind of a journey. 1. The world is always deeper. Whatever I thought I knew about Aurelia from Rise of the Tiger, the Aurelians always found a way to challenge it. Sometimes it was as simple as a really smart question that set me thinking. Those questions often led to clarifications or even adjustments to my personal (or our collective) understanding of the world. At the end of the day, the deeper the world, the more for actors to play with. Don’t be afraid to confront those gaps. As writers, it’s so easy for us to be possessive about our worlds, or obsessively anxious about our “intellectual property.” While common sense is always good, I think for most of us it goes too far. The digital age, and digital storytelling thrive on that cheesy acronym TEAM: “Together, Everyone Achieves More.” If you’re not willing to create together, you can’t achieve the “more” that’s waiting. 3. Detours are part of the journey. As a showrunner, it’s tempting to want to get somewhere . . . fast. The story has to hurry. The actors have to hurry. Everything has to hurry, or we don’t think we’ll make our deadlines. If I learned anything, it was to slow down and let things unfold naturally. Often, in that time, the actors would invent whole new plot lines or take things in a completely different direction. And nine times out of ten, that direction was better than what I had in mind. Aurelia’s best characters weren’t strictly “everyday people.” They were the people who evidenced a particularly exaggerated trait or two that colored their every appearance on stage. Now that I’m going back to my usual writerly “grind,” I’m taking that principle and filtering every character through it. Before, I understood characterization at an intellectual level; now, I’m beginning to understand it from an experiential level–having lived characters and watched them unfold through others. At the end of the day, human beings love mystery. The more mysteries you can spin, and foster, the better off your story will be. Not that showrunners (or writers) should invent things superfluously, but if the more you can build organic mystery into your story, the more invested your audience will be as the story unfolds. And as an added tip, I’ve found that questions involving people’s true loyalties (ie: political/social intrigue) are the juiciest, and most polarizing. And with that, it’s time to wrap up Aurelia. I hardly know what to say at the end of the journey. Except that it’s been phenomenal. Our actors, audience, and partners at Theatrics have been more amazing than I could have ever hoped. May the City of Aurelia live on, in many more stories, and in our imaginations. Rise Above, Citizens of Light. 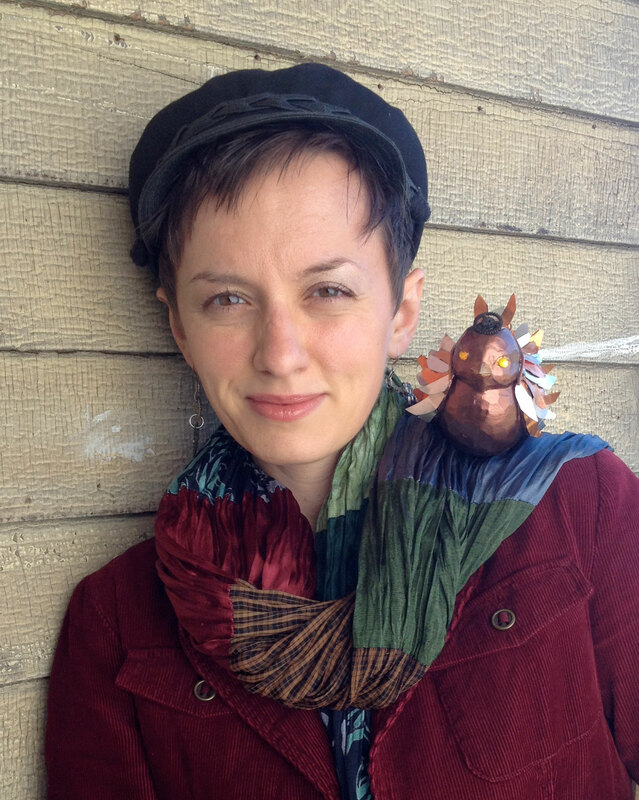 What an honor for AURELIA to be featured in a three-part series on popular Steampunk blog Airship Ambassador. Today’s inaugural installment features an interview between the Ambassador himself, Kevin Steil, and Lisa England, our creator and showrunner. Enjoy today’s installment and look forward to two more. And while you’re at it, check out the many other fantastic resources the Ambassador has to offer! Can interactive storytelling help writers overcome perfectionism? Aurelia creator and showrunner Lisa England thinks so. 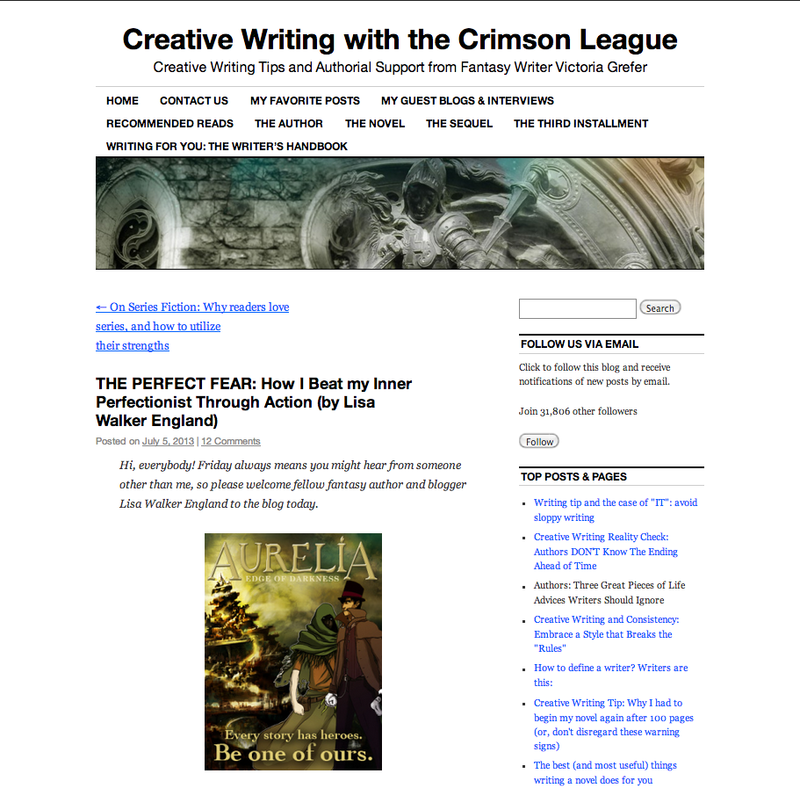 In her guest post THE PERFECT FEAR, she shared her theories at Victoria Grefer‘s blog Creative Writing With The Crimson League.